Many students can attest that there is one way to get through long nights of study, and that is coffee. According to Allison Aubrey, NPR reporter, college aged consumption of coffee has increased over the past decade. In a 2013 NPR report Aubrey noted that 18- to 24-year-olds are consuming coffee more regularly and instead of sodas or other caffeinated beverages. Coffee shops are catching on and they are subsequently popping up in and around colleges nationwide. But which colleges are near the best of the best when it comes to coffee. 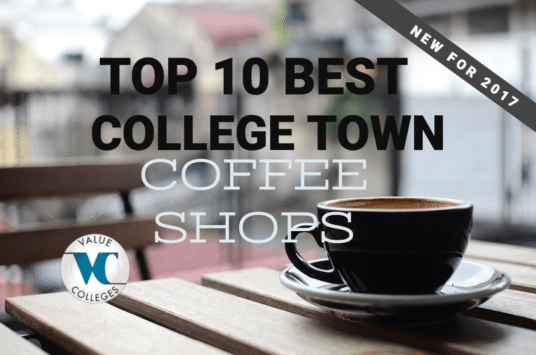 Using The Daily Meal and Value Colleges’ top value ranking system, we came up with these Top 10 Colleges with the Best Coffee Shops. Since 2005 Toomer’s Coffee Company has been serving Auburn University students, staff and faculty from the University Village shopping center, since becoming an Auburn staple. Toomer’s provides free Wi-Fi though sometimes it can be difficult to maintain. This coffee shop is one of very few independent businesses thriving in the area. 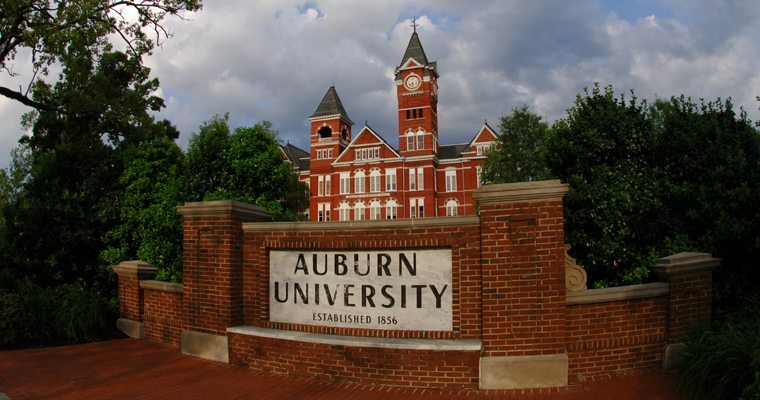 Auburn University is known as one of the United States most prominent comprehensive land-grand universities of the 21st century. Leading the state of Alabama into a global society, Auburn proudly stays true to its roots while encourage global awareness and living state-wide. With innovative use of information technology, Auburn offers strong research and outreach programs for both students and faculty. Founded in 1995 and located in downtown Davis, Mishka’s Café has been known as a staple location where locals and students alike can meet for a great cup of coffee to converse, read, or relax. Mishka’s is proudly housed in a sustainable, solar-powered green building and in line with sustainable living, offers organic, fair-trade coffee and other goods. But know before you go: stop by the ATM because Mishka’s Café is cash only. 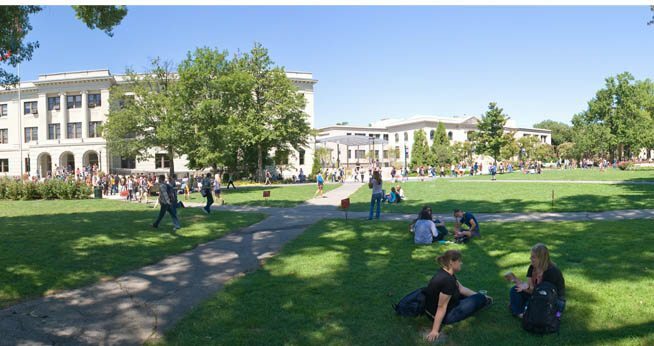 University of California, Davis is a public research institution, one of ten universities in the University of California system. The campus boasts a university farm and arboretum and the school is ranked number one in the nation for veterinary medicine. Their undergraduate research programs are some of the best nationwide, from library rearch to the sciences, all programs are hands on and led by some of the best faculty in the world. Open till 12am and offering Wi-Fi and a comfy study area, Caffe Strada is a great place to grab a cup of coffee and get some studying done. Outdoor seating is a fresh change of pace and the friendly and knowledgeable staff work together to create an inviting atmosphere perfect for those who want a break from their dorm room or the library. Know before you go: Caffe Strada is cash only, so be sure to stop by the ATM on your way. 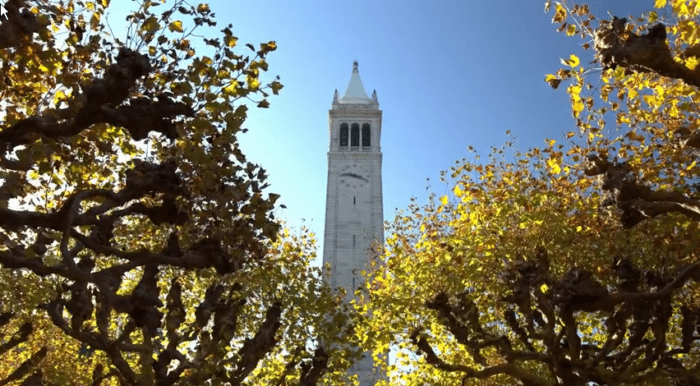 University of California, Berkeley was founded in 1868 by a group of academic pioneers, a beginning that still resonates today, and Berkeley is known now and historically as a place where the brightest minds from around the world come to learn. As a top research institution, undergraduate students receive top notch training from some of the most qualified faculty members in the nation. A non-profit, student run organization, Davenport Coffee Lounge is for students, by students. The shop accepts the American University meal plan cards as a form of payment and Wi-Fi is free, so it’s a great place to get some homework done over a cup-a-Joe. There’s lots of seating, although the shop can get crowded. The shop is tucked away in the former chapel of the SIS building. American University is ranked as one of the leading universities in the nation for produce politically active, distinguished alumni with strong leadership skills and the ability to rethink local and global challenges. The university strives to create meaningful change in the world. Boasting a friendly staff, study section, and great music (in addition to coffee) Cartel Coffee Lab is a must for Arizona State University students and staff and is even known as the neighborhood living room! Beans are roasted in house and though the Wi-Fi can be weak from time to time, overall it’s a perfect place to study and enjoy a cup-a-Joe. 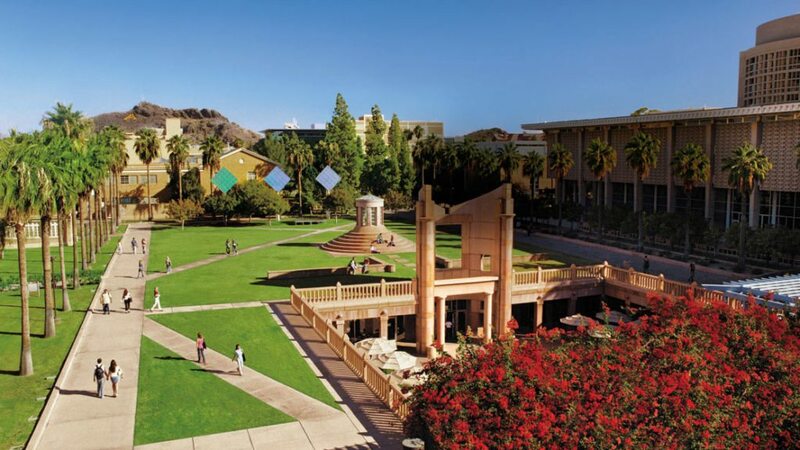 Arizona State University is the number 1 producer of Fulbright scholars nationwide and a national leader in undergraduate education according to the Princeton Review. The university successfully aims to provide the highest quality education available to it’s students and offers a variety of both undergraduate and graduate degrees. Common Grounds boasts late hours (open till midnight), outdoor seating, a close proximity to campus and Wi-Fi and is a Waco, Texas staple. Enjoy a cup of delicious coffee in one of the three rooms inside, each donning big chairs, tables, and comfy couches. Outdoor seating offers a nice change of scenery and even doubles as a stage for local events and concerts. 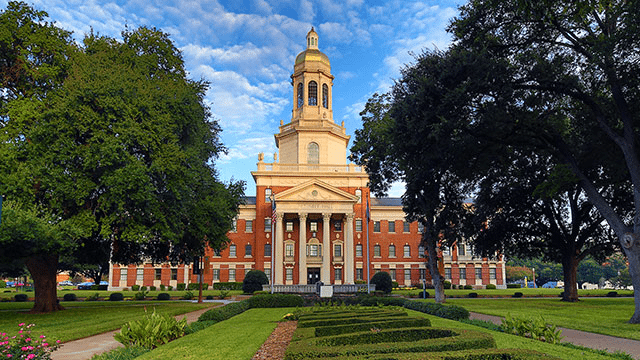 Baylor University is a private Christian university in Waco, Texas with roots in Baptist teachings and doctrine and is well known as a top research facility nationwide. With over 16,000 students enrolled annually, Baylor’s interdisciplinary approach to research and international reputation for education excellence all make it a top place for undergraduate and continued learning. A small space that is perfect for grab-and-go coffee, Pavement Coffee House near Boston University is still one of the coolest coffee shops in Boston. The independent coffee house serves up Counter Culture Coffee and works closely with a roaster to supply fresh beans daily with seasonal coffees from all around the world. 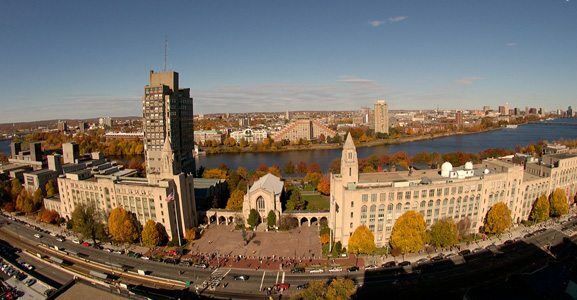 As a leader in higher education in Boston, Boston University has been providing quality education for over 150 years! A large and diverse university, Boston University has over 32,500 students annually all converging in Boston from over 130 countries worldwide. The top research institution is historically associated with the Methodist church though today it is unaffiliated. College Hill Café, located in the Brown University bookstore, is owned and operated by Blue State Coffee and boasts fair-trade, organic beans that are roasted in house in small batches to ensure freshness. Because College Hill Café has a ‘zero waste’ policy, all products are either compostable, reusable or recyclable! In addition to great coffee, the café serves up local, seasonal dishes, including vegetarian and gluten-free options. Brown University, located in historic Providence in Rhode Island, is the seventh-oldest college in the United States, founded in 1764. The university has long been acknowledged as a leading research university with an accomplished faculty and student body. The diverse Brown community has over 6,000 undergraduates enrolled annually from all 50 states and more than 115 countries worldwide. The motto “Come for the coffee, stay for the love” is nothing short of perfectly descriptive of The Motley Coffeehouse experience near Scripps College. A feminist organization run by Scripps College students, the café has been serving up coffee on this all-girl campus since it’s inception in 1974. If you’re on the go, bring your own togo mug since the shop doesn’t have any to offer and if you’re going to stick around, enjoy the free Wi-Fi and outdoor seating. Scripps College, located in Claremont, California, is a liberal arts women’s college and was founded in 1926. 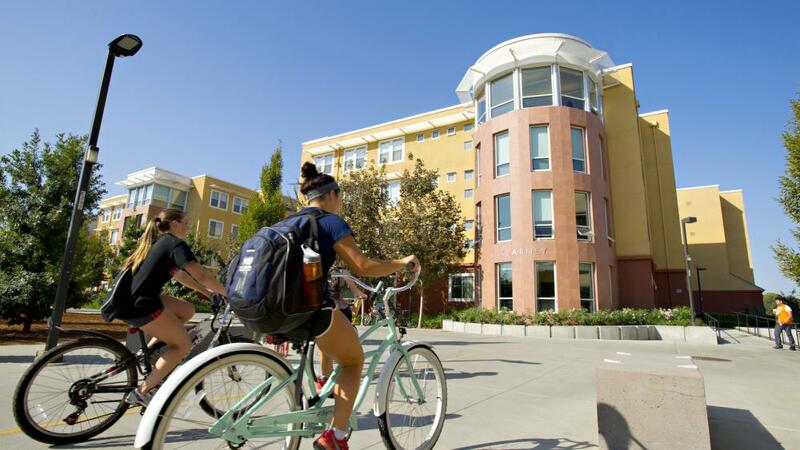 With an annual enrollment of about 1000 students, Scripps College is a member of the Claremont Colleges. Scripps aims “to educate women to develop their intellects and talents through active participation in a community of scholars.” Students receive numerous grants and scholarships annually. Higher Cup: Amherst Coffee is known as study central to the Amherst College crowd. They stay open till 12:30am daily, so there’s no need to pack it up early when you’re in the middle of an assignment or plowing through that English paper. Since they don’t offer free Wi-Fi, it’s not a great place for research, but if you have your books and laptop or notes, it’s a great place to get some reading and studying done distraction free. Plus, the outside seating is a nice alternative to the library or your dorm room. Amherst College is known and widely regarded as a premier liberal arts college and enrolls just 1800 diverse individuals annually. They proudly boast an open curriculum that stands to be one of the boldest and most productive experiment in higher education today! 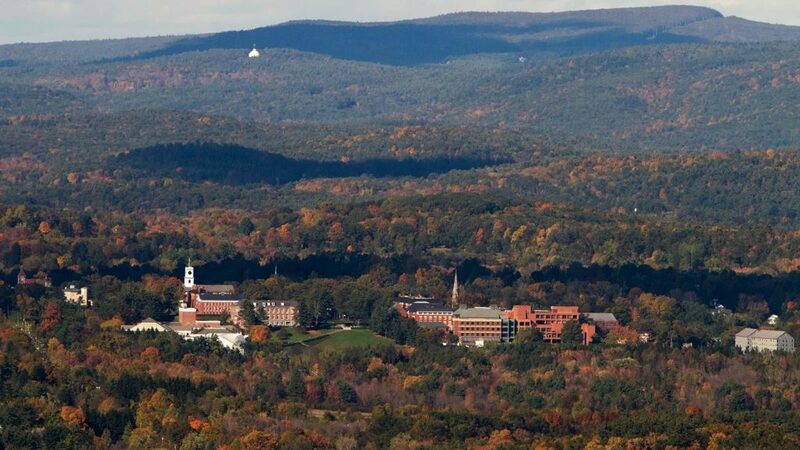 The colleges deep rooted sustainability efforts are equally a part of student life and education at Amherst University.